Fifth disease or erythema infectiosum is caused by parovirus B19. It is not the same virus that is seen in household pets and cannot be passed from animal to human. 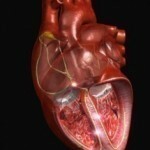 It usually affects children within the 5-15 age group though it can also affect adults. The illness is not life-threatening and sufferers recover relatively quickly after being exposed to the disease. Recent studies have indicated that it is possible to have no symptoms when afflicted with the condition based on findings that adults who tested positive for the infection could not recall every being stricken with the disease when younger. The virus is present throughout the world and it appears to manifest during the latter phases of winter to early spring. However, it is possible for the disease to affect individuals any time of the year but at a fairly reduced rate. The first stage of the illness will initialize with a low-grade fever and mild cold like symptoms which will include a runny nose or stuffiness. Gradually the symptoms will discontinue and will be followed by the development of a rash that may manifest after a few days. A red rash will usually appear on the face which will spread days later to the arms and legs that will be slightly lighter in colour. It will not be present on the palms or soles of the feet. The rash may be itchy but will not be associated with any other symptoms of the disease and individuals will often feel well enough and not look ill. It may take up to three weeks for the rash to disappear and it will look progressively worse before it finally subsides. It may also be provoked by heat, sunlight, stress and exercise that may possibly cause the rash to re-occur. The disease may be accompanied by other symptoms including red eyes, sore throat, rarely blister like rashes, swollen glands and diarrhoea. 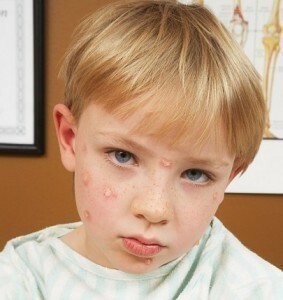 The rash is also more likely to affect children under ten years old. In teenagers and adults it is possible to develop joint swelling and or pain in the knees, hands, ankles and wrists which will feel very similar to arthritic pain. The disease will be contagious before the development of the rash, usually during the incubation period before the onset of symptoms. The incubation period can be anywhere between 4-28 days but it is more often within the range of 16-17 days for most individuals. 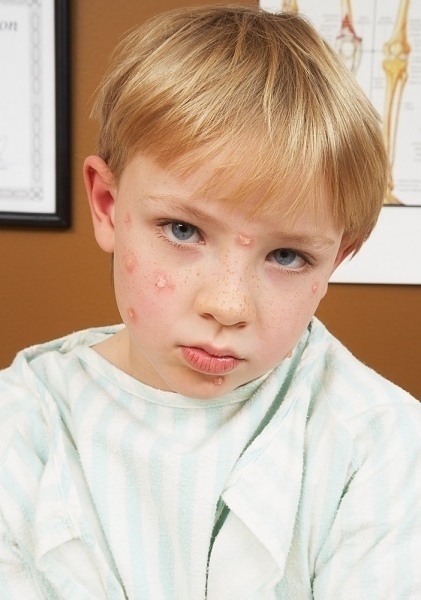 Because fifth disease is caused by a virus it cannot be treated by antibiotics. Ideally it would be treated with antiviral drugs however none have been developed for treating fifth disease. Because the disease is usually fairly mild, administering medication is not essential. Bed rest is normally recommended and most children will feel well enough once the initial symptoms of fever and runny or stuffy nose disappear. If the itching associated with the rash is severe it is possible to treat the itching with anti itch medication. It is also possible to take pain relievers and fever reducers like acetaminophen for fever and joint pain.